Billboard reports the country legend Reba McEntire announced Monday that she's prepping a new album, and is returning as host of the ACM Awards -- both happening this April. First, McEntire will release Stronger Than the Truth, her 29th studio album, on April 5. The singer unveiled the cover art on her social media, revealing on Instagram that the LP is "the most country record I’ve done in a long time." 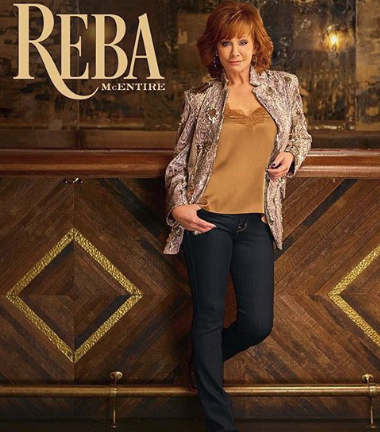 Just two days after releasing Stronger Than the Truth, McEntire will be celebrating her album release with her fellow country stars at the 2019 ACM Awards in Las Vegas, where she returns as host. This year marks McEntire's 16th time serving as ACMs MC, and the second year in a row. Stronger Than the Truth follows McEntire's 2017 gospel release Sing It Now: Songs of Faith & Hope, which helped her earn a female vocalist of the year nomination at last year's ACM Awards. The first song released from the album will be the title track, arriving Feb. 15. McEntire will announce the nominees for the 2019 ACM Awards on CBS This Morning on Feb. 20. The ACM Awards will broadcast at 8 p.m. ET on CBS on April 7.